I stumbled upon this recipe and it immediately caught my attention due to the ingredients used in it. I did it and to my surprise I could not taste the beans at all. I made it just like this but next time I will try it without the coffee. 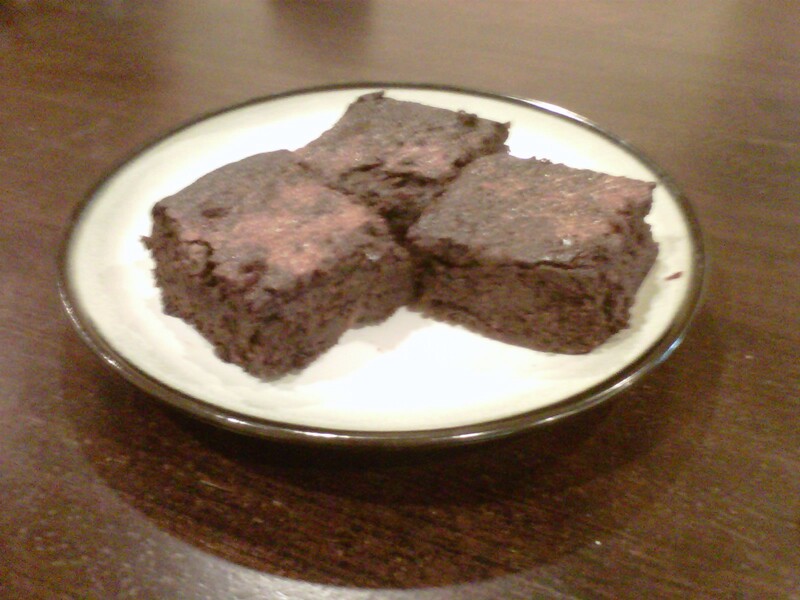 The consistency of the brownies were just like any other. Be adventurous and give this recipe a try! Preheat the oven to 325°F. Line an 11- by 18-inch (rimmed) baking pan with parchment paper and lightly oil with canola oil spray. Melt the chocolate and butter in a glass bowl in the microwave for 1 1/2 to 2 minutes on high. Stir with a spoon to melt the chocolate completely. Place the beans, 1/2 cup of the walnuts, the vanilla extract, and a couple of spoonfuls of the melted chocolate mixture into the bowl of a food processor. Blend about 2 minutes, or until smooth. 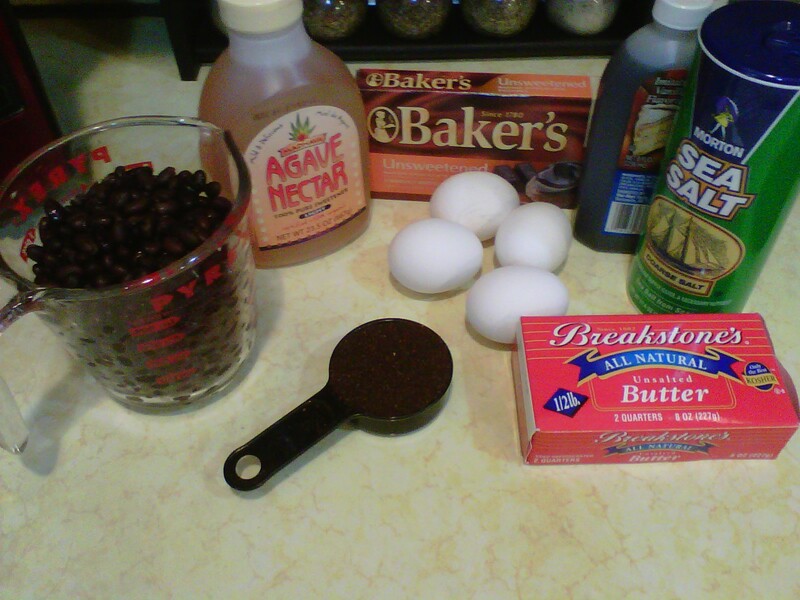 The batter should be thick and the beans smooth. Set aside. In a large bowl, mix together the remaining 1/2 cup walnuts, remaining melted chocolate mixture, coffee substitute, and salt. Mix well and set aside. In a separate bowl, with an electric mixer beat the eggs until light and creamy, about 1 minute. Add the agave nectar and beat well. Set aside. Add the bean/chocolate mixture to the coffee/chocolate mixture. Stir until blended well.